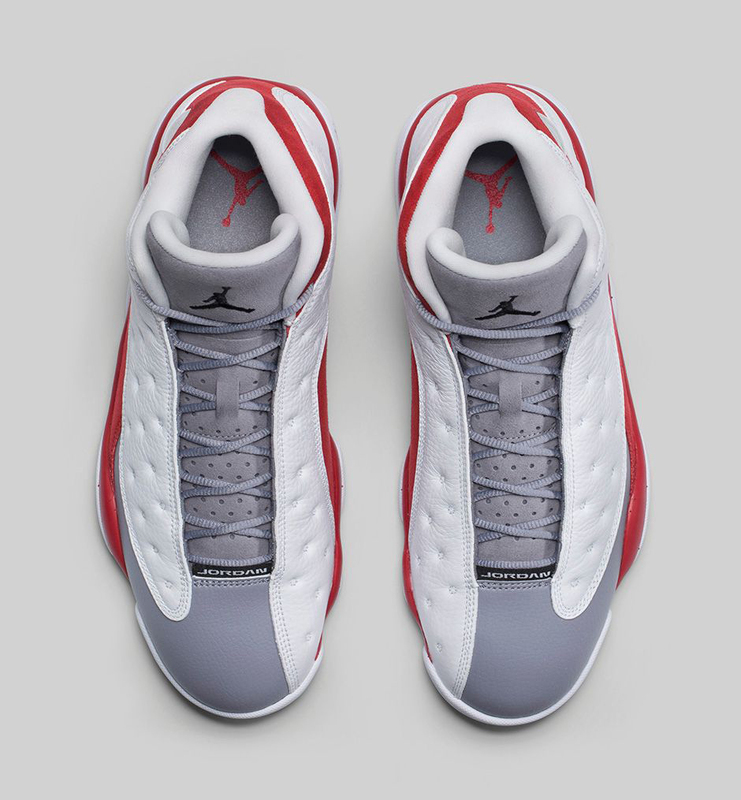 The Air Jordan 13 “Cement Grey” aka “Grey Toe” last seen in 1998, with its white leather quilted, is a favorite of many in the Jordan Brand catalog. 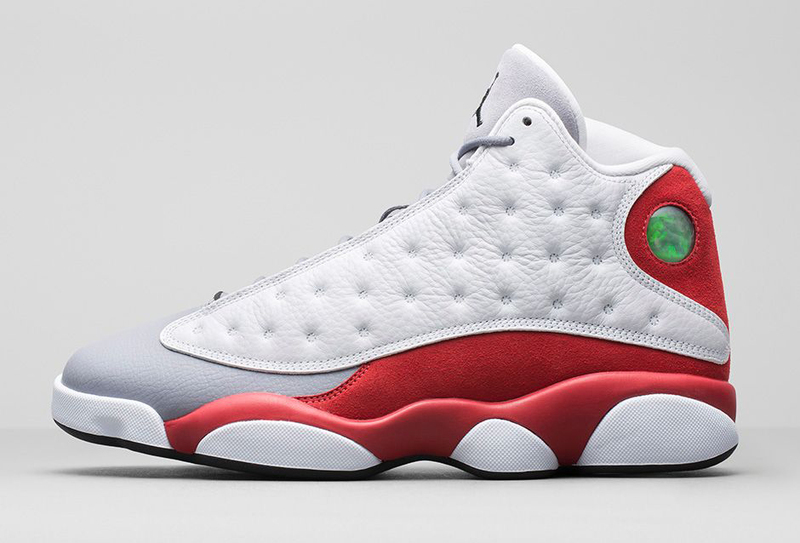 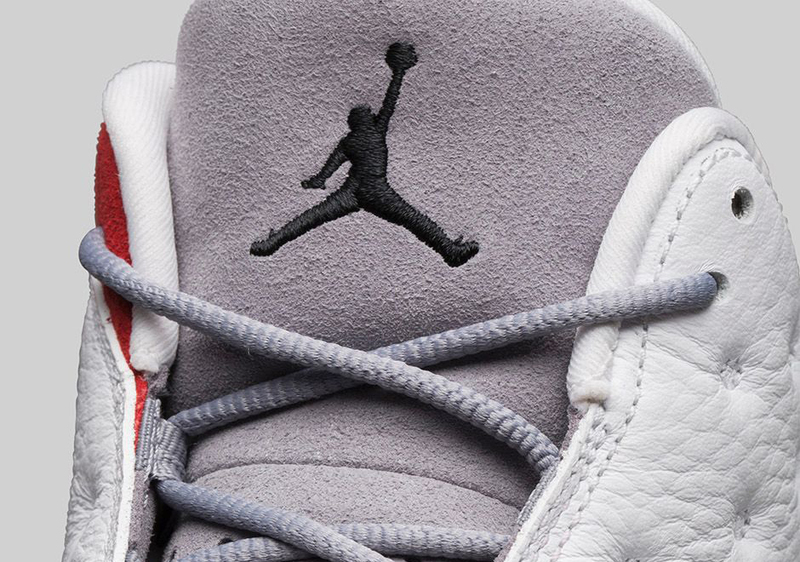 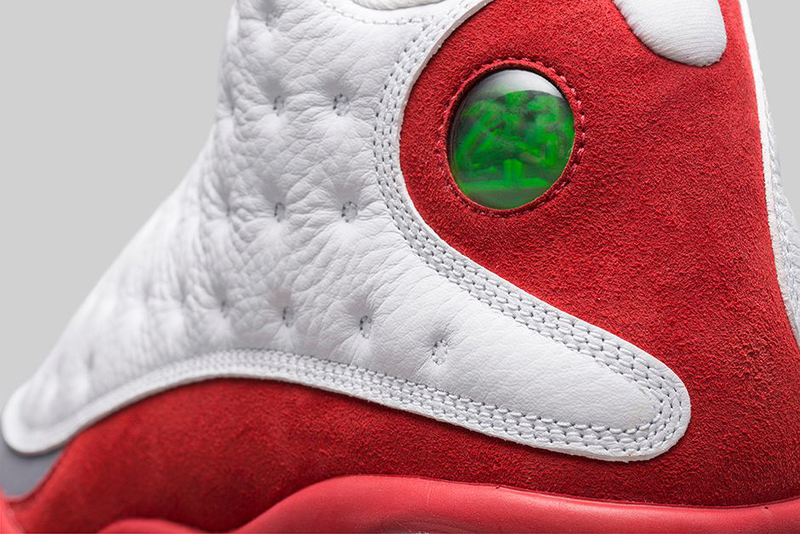 The OG Air Jordan 13 “Cement Grey” is the modernized version of its old school predecessors. 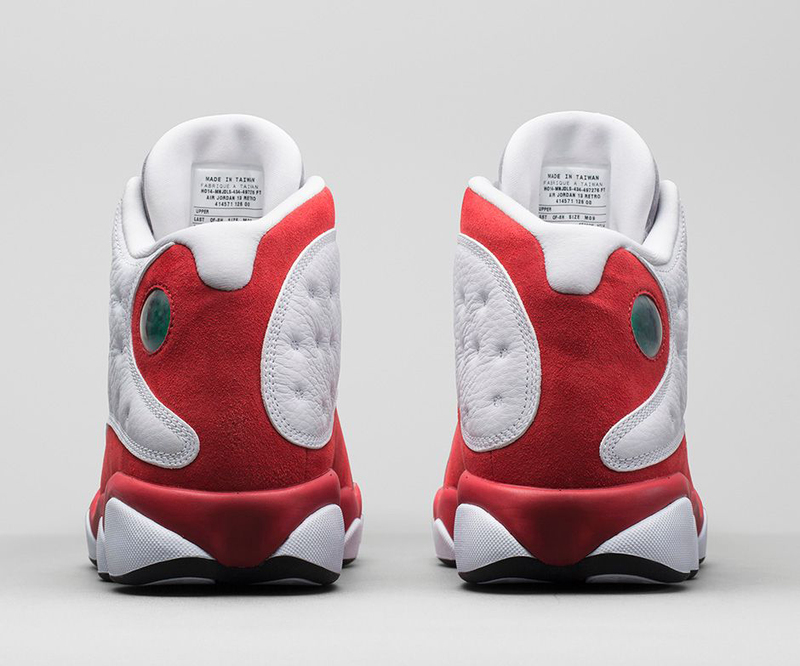 The indented white leather upper give the XIII it’s signature look, while the ‘team red’ suede gives an eye-catching contrast to the silhouette. 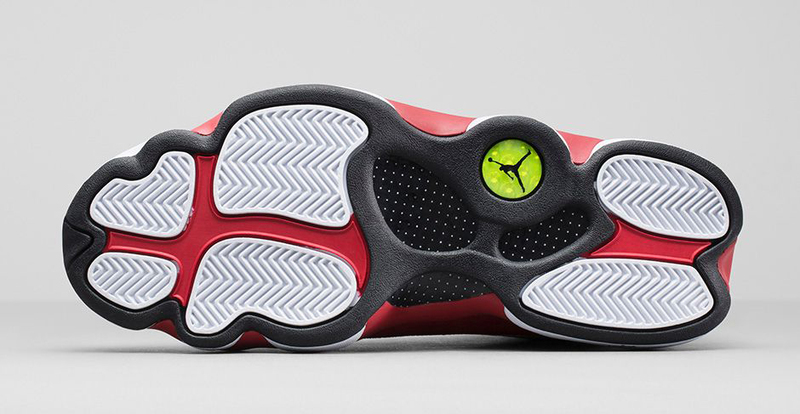 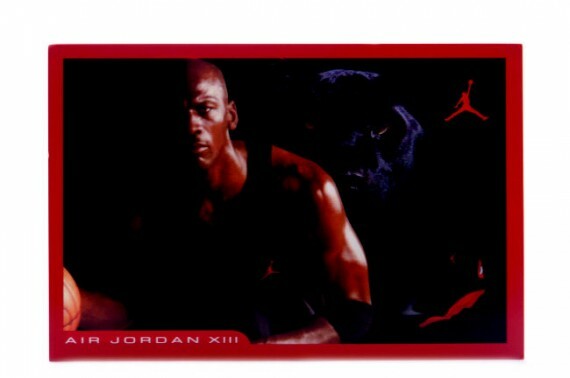 Top it off with a ‘cement grey’ toe and you have one extraordinarily ballin’ colorway. 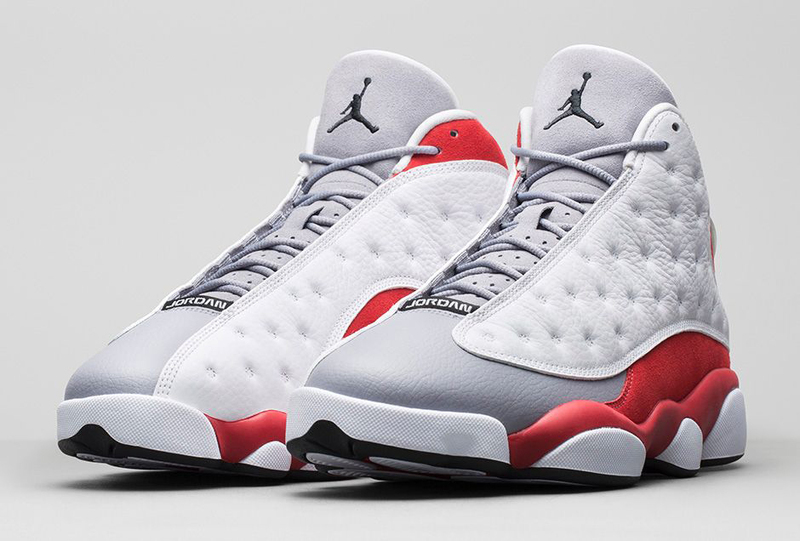 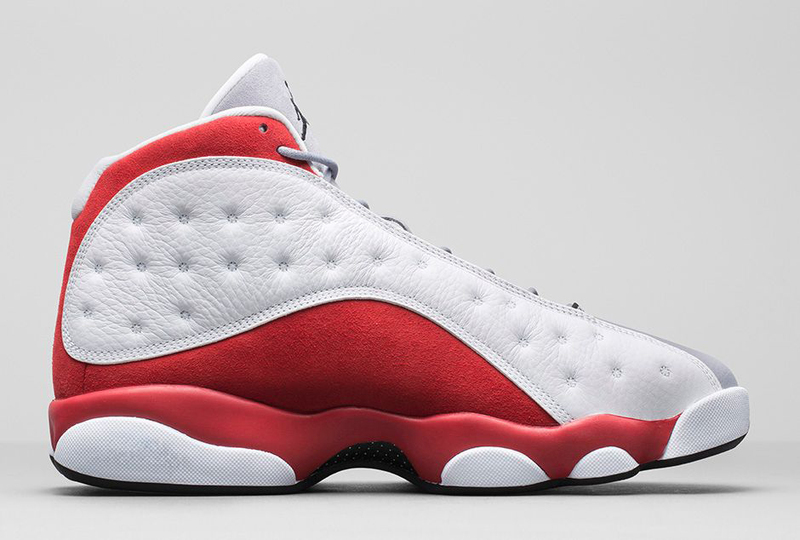 Available as of November 15th from your local neighborhood Air Jordan retailer, its time for all you sneakerheads to get ready for your Saturday morning line-up.